Lots of digging yielded some mentions of a Gitorious git repo for an unloved TW68 kernel module for these TW68XX devices, but Gitorious is currently offline. Some more digging found a github mirror of the TW68 module, with a mention that the TW68 module was merged into the mainline kernel in version 3.18. Sweet! I don't have to deal with out of tree kernel modules. Of course, I was trying to get this capture card running under Ubuntu 14.04, which is still using v3.13. Upgrading my system to Ubuntu 15.10 (which runs kernel 4.2) and running "modprobe tw68" finally yielded the /dev/video0 device I was hoping for. Not entirely encouraging that it's listing the status of channels 1-3 as "ok" since I don't have video signals fed into channels 1-3 when I took this, but it at least identified this as a four channel card. I have little understanding of what this all means, but it seems to be dumping a couple status registers and decoding them, and the decoded parameters mention NTSC, so that's good, I guess. 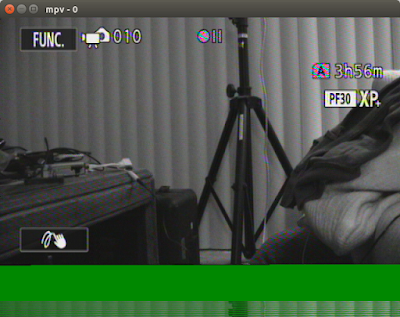 Finally, running "mpv --tv-device=/dev/video0 tv:///CHANNELNUMBER" and tried 0, 1, 2, and 3 for CHANNELNUMBER yielding a relatively screwed up signal. I don't know if this is still a driver/software issue, or if I need to feed it some option that isn't default to render my test signal correctly, or if the capture card I pulled out of an e-waste bin is borked. In any case, it's almost midnight, so I'm writing this all down for my own future reference and going to bed. 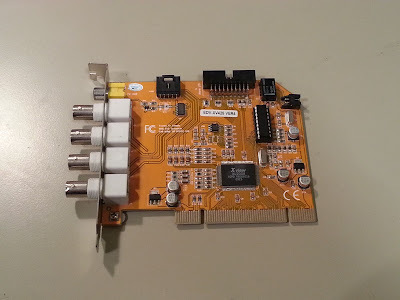 The screwed up signal might be due to the card being set in PAL or SECAM mode and feeding it an NTSC signal.